The doctors have demanded immediate suspension of the senior doctor, who also heads a department at the premier institute. 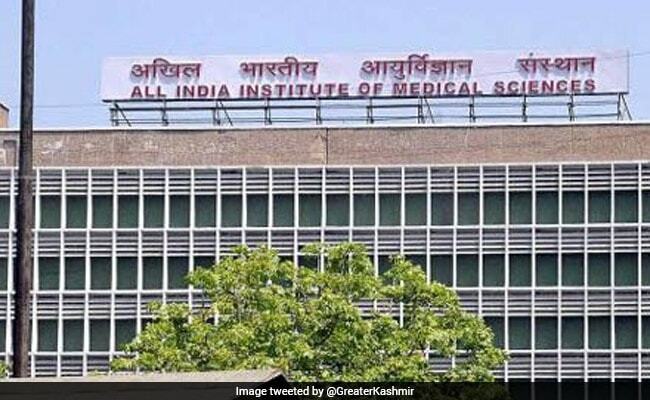 Delhi: Resident doctors at the All India Institute of Medical Sciences (AIIMS) on Thursday declared an indefinite strike after one of their colleagues was allegedly assaulted by a senior doctor. The Resident Doctors' Association (RDA) has also urged that the doctor in question should not be allowed to take in thesis candidates and conduct any kind of verbal or written examination. They also sought a written apology from the doctor concerned. In a letter to AIIMS Director Randeep Guleria, the RDA alleged that the senior doctor slapped a senior resident in front of the attendees, nursing staff and colleagues, and that the resident doctor was under depression and had gone home. The resident doctors also raised the reported misbehavior of the senior doctor towards the female residents. "Dear Director sir, we talk about violence against doctors by relatives of patients, but this act has caused great anguish among residents and shattered the sacred student-teacher relationship," read the letter. "We expect an immediate and strong action from your side so that a message goes out that doctors are not here to be beaten," it said. As a mark of protest against the incident, the doctors on Thursday worked wearing helmets. In a late night statement, the AIIMS said the incident in question took place on Wednesday following which the senior doctor apologised to his junior. "On 25th April, an incident was reported wherein a faculty member had slapped a resident doctor in the AIIMS hospital. The faculty member apologised to the resident immediately," it said. The statement said the resident doctor had accepted the apology. The AIIMS director had also instituted a five member committee to be chaired by the Dean-Research to enquire into the incident. However, the strike was called by the Resident Doctors Association on Thursday evening, following which the medical services at the premier institute were affected. In the wake of the strike, the hospital has instituted contingency measures to take care of the admitted patients, including those in the ICUs and wards. The director has appealed the RDA to call off the strike in the interest of patient care.